For years SUVs have provided versatility and capability for those looking for a large vehicle that sits on a truck-chassis. 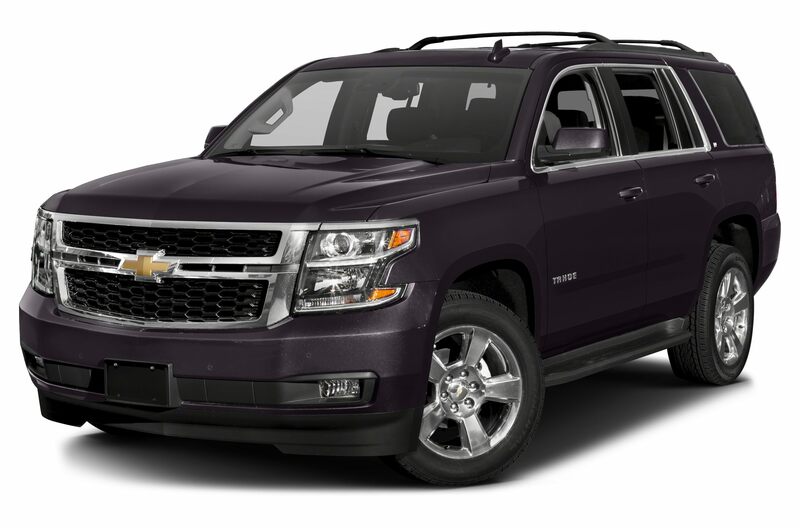 That’s why the 2017 Chevy Tahoe in Cincinnati, OH has stayed true to its roots with a classic SUV design. Does it have modern influences in terms of style? Of course, but it’s still the same rugged-looking and imposing vehicle that it’s always been. The inside is cavernous, and provides seating for a large family — up to nine people — or when all the seats are folded down, storage space rivals a minivan. Finally, it has the capability that you’d expect from a Chevy vehicle, courtesy of a bulletproof and reliable engine. Some of you might be disappointed to know that other than increased off-road capability, much hasn’t changed in terms of performance for the 2017 Tahoe. But, this isn’t a bad thing. If it’s not broken, why try and fix it? Not to mention, Chevy’s engines are bulletproof when it comes to durability, reliability, and performance. This is one reason why the same 5.3-liter V8 engine found on the 2016 model is being recycled. It produces 355 horsepower and 383 lb.-ft. of torque, and is accompanied by a six-speed automatic transmission. For fuel-efficiency, the EPA estimates the 2017 Tahoe is capable of 16 mpg city/23 mpg highway. While that’s not necessarily good, the Tahoe is able to tow 8,600 pounds when properly equipped — and that certainly helps make up for the abysmal fuel-efficiency. Along with the fact that the new Tahoe will get you up to highway speed from a standstill (0 to 60 mph) in about 7.1 seconds – way above average for this segment. Here’s the thing about the Tahoe’s performance. The okay fuel-efficiency, excellent towing capacity, and exceptional power output and acceleration make it an all-around above-average performer for this class. Not to mention, you can grab the Z71 Off-Road or Max Trailering package for a single-speed transfer case designed to drive steady and strong – the perfect accompaniment for both off-roading and towing. Obviously, four-wheel drive is the heart and soul of full-size SUVs and trucks. But, the new Chevy Tahoe is a rear-wheel drive model standard. One of the biggest advantages the Tahoe has over other vehicles in its class is the interior. It’s cavernous and comfortable, with plenty of space for larger passengers. Even in the back. Then again, the large design of a full-size SUV does provide that. Combine that with four-wheel drive capability and the safety of being in a vehicle so large, and you’ll be converting from a minivan in no time. How many passengers? A total of nine, which is a lot. 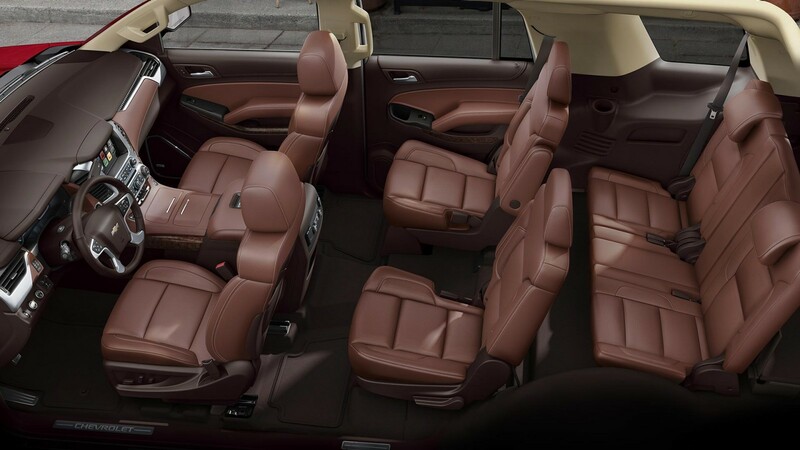 Even the biggest of families could all fit comfortably inside the Tahoe. But, because of the enormous amount of passenger space, cargo space is somewhat limited. 15.3 cu. ft. can be found behind the third row, and 51.6 cu. ft. behind the second row. Fold flat all the back seats, and you get a whopping 94.7 cu. ft. Even behind the wheel, taller drivers will have plenty of legroom, thanks to a tilt-and-telescoping steering wheel. In the second row, you can either have a bench seat or two optional bucket seats. Regardless, second-row passengers will be able to experience almost just as much as first-row passengers. The third row has plenty of legroom as well. However, a slightly higher floor might prove to be uncomfortable for really tall passengers. The new Tahoe is loaded with plenty of features as well. Namely, there’s a lot of great technology that tags along for the ride. Kicking things off is an updated rear entertainment system that now has a new video voiceover feature for the visually impaired, which comes with digital headphones. 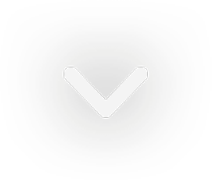 An HDMI/MHL connector allows you to attach devices to the screens via Digital Living Network Alliance technology. This feature allows you to project videos up onto the screens through those connections, and the whole setup is able to access Wi-Fi. The interior is an overall solid design. Meant to entertain, transport, and carry whatever supplies you might ever possibly need. Most SUVs on the market have gone soft. By that, I mean they have more rounded edges in the interest of enhanced aerodynamics. While that’s nice for fuel-efficiency, SUVS are still heavy vehicles. So, no matter how aerodynamic you make it, fuel economy is still going to be closer to the struggling end of the spectrum. The Tahoe is one of the few exceptions, and stands out simply because it still looks like an old-school SUV. In other words, it’s got style. The changes that were made to the 2017 model are quite minimal, actually. Primarily, these changes are made up of new wheels, and the addition or subtraction of certain paint colors. A blue velvet metallic is now available, along with pepperdust metallic. There were also some colors removed, such as the slate grey metallic, sable metallic, green envy metallic, and brownstone metallic. Two different sets of wheels are available: 22-inch ultra bright machined aluminum wheels with a bright silver finish, but those are exclusive to the Premier trim. The 22-inch, 7-spoke silver wheels with chrome inserts are available on all trims. Hidden behind the grille of the Tahoe is another new feature: aero shutters. These shutters were installed to improve aerodynamics by closing automatically at highway speeds, and then opening again when the engine requires more air for cooling. Not only do these help keep the engine cool, but they make sure the Tahoe experiences less wind drag. Roof rack cross rails have been added to the Texas Edition Package, as well as the All-Season Package, giving the Tahoe a slightly more rugged and adventure-oriented persona than before. Coincidently, these roof racks arrived alongside some improvements to off-road capability. Therefore, they go hand-in-hand. Being part of the McCluskey Automotive Group means more than building a car dealership where consumers come for high-quality new and used vehicles. We’re not afraid to go above and beyond what’s expected to ensure customer satisfaction. We sell great cars, at great prices, with even greater service. We’ll also help anyone find that dream car — even those with bad or no credit. Our service department houses nothing but the most highly-trained and trusted mechanics. We also have Cincinnati’s best full-line body shop, and benefits that are unique to just us in the Tri-State region, such as a lifetime mechanical protection guarantee on any new or used vehicles, with unlimited miles and years. Why do we have all this? Because the McCluskey Automotive Group represents a tradition that provides nothing but automotive excellence and we take pride in that.